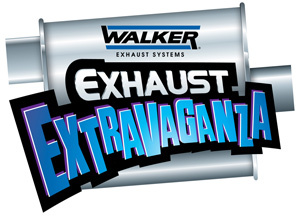 Are you looking for Car Exhausts Chester or car repairs anywhere in North Wales? Are you wanting a fast and friendly service? Then call our team at J.S. Motors today! One of the North Wests premier garages, we will amaze you with our comprehensive and professional service. We also supply catalytic converters, which are now part of the MOT test covering gas emissions. The 'cat' as it's commonly known removes carbon monoxide, hydrogen sulphide, oxides of nitrogen and other noxious gases from the exhaust system. 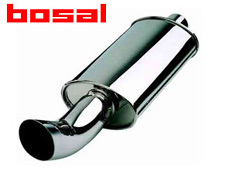 Bosal is a major worldwide supplier to car manufacturers for complete exhaust systems including manifolds and catalytic converters. Bosal AM exhaust systems meet the most stringent standards and guarantee a life expectancy in line with customer needs. All Their expertise in the design and production of exhaust systems ensures all our products offer secure and easy fitting and original equipment performance. We keep the widest range of Timax exhaust systems in the U.K, whatever car you drive try us first, you will not be disappointed. We have the full exhaust range in stock for immediate Fitting. 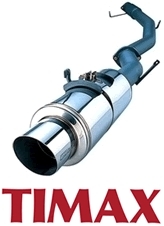 Timax are the UK's market leading exhaust system, they are manufactured to ISO 9001 quality and meet stringent EC Type Approval standards for noise performance. High grade steel is employed in the manufacture of all Timax exhaust systems to produce an improved corrosion resistant product which is more robust, has extended life and a superior appearance. We also stock React and we also have a budget range available.